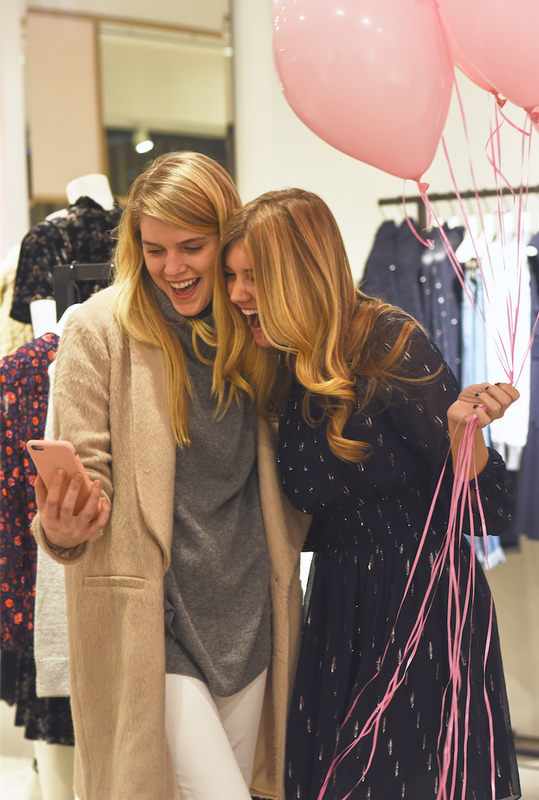 I loved hosting my first shopping event at the Rebecca Taylor store uptown last Thursday! Rebecca Taylor has been one of my favorite brands for as long as I can remember. Hosting this event was the perfect way to kickoff the holidays. The event lasted two hours and was filled with champagne, rose flavored Laduree macaroons, friendly faces, and 25% off the entire store! What could be better. I loved hanging with some familiar faces, and also meeting new ones! I have two more events coming in the future, and will deffinitly keep you posted! For those of you are not familiar with the brand, Rebecca Taylor is a womenswear brand inspired by beauty in the everyday. The brand places an emphasis on signature prints, dimensional texture and modern nostalgia, the collection cultivates a look of romantic fragility with a sophisticated edge. Every Rebecca Taylor piece offers a carefully crafted silhouette that feels essential, set apart by distinctive detail that captures the imagination and elevates the art of dressing for every occasion. I loved being able to play dress up in the store! I started out the evening wearing this blue high-necked dress. The dress cinches in the waist making the it extremely flattering. Later in the event Christy Doramus, from Crowns by Christy, and I decided to dress up in their new floral attire! We had so much fun getting into the floral pastel spirit! Be sure to check out Rebecca Taylor’s stores or their website for a great thanksgiving week sale! Hope to see you December 8th at Trina Turk for a shopping event hosted by Christy and I!